When I woke, it was almost as warm as the day before. Time to dodge Dodge City. My pancake breakfast filled me to a satisfied lip. The humans had no trouble dragging me away from the table and my empty plate. Actually, the Princess carried me in her arms. Did I complain? While the other guy drove, the Princess told me stories about the West and the settlers who crossed this great land from back east. She explained how there weren’t any roads back then, how folks traveled rugged trails in canvas covered wagons pulled by mules or oxen. Here I was, zipping along a modern highway, built right next to the old Santa Fe Trail, the wind blowing though my magnificent mane, and nearly all the comforts of home. 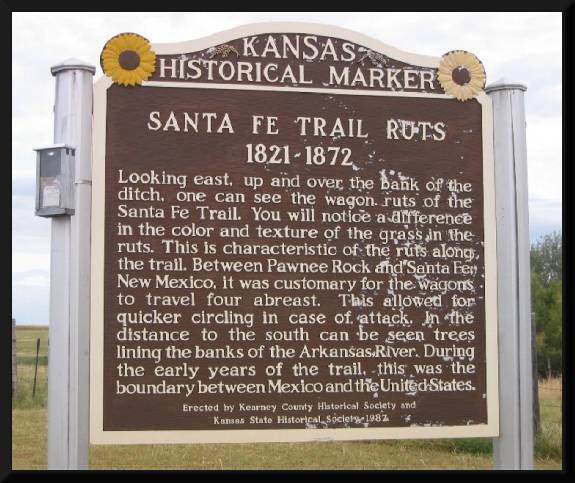 Here’s one about the Santa Fe Trail. The Princess had judiciously packed some tasty snacks for our between meal miles. I needed them. Seems the route hadn’t changed… just the surface of the trail. Look. 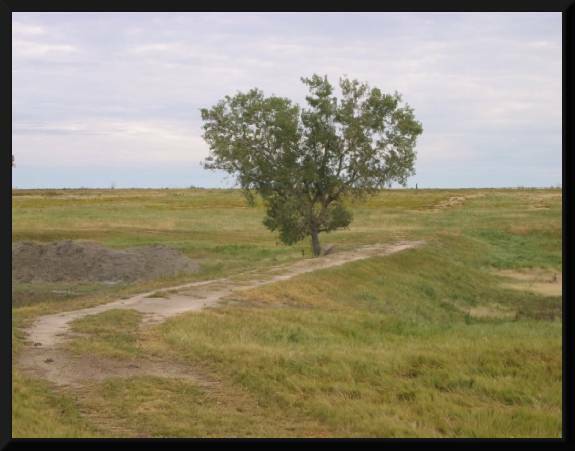 You can actually see the ruts left by those covered wagons. The highway? Unending at times. We stopped occasionally to stretch, or just to examine some interesting curiosity. 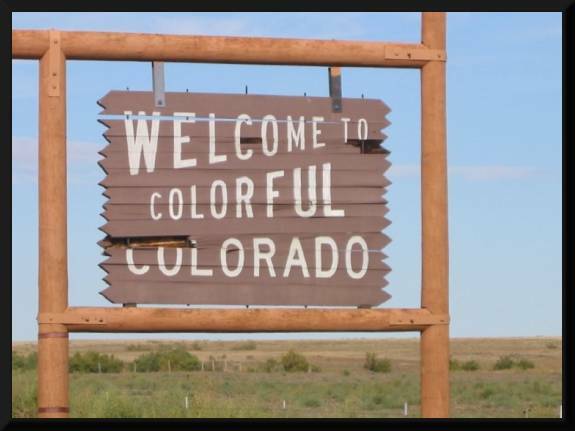 We crossed into Colorado with barely a hint of change in the landscape…more old buildings and just another roadside sign. Not very busy, eh? When we arrived at La Junta it was time for lunch, something I didn’t want to miss. We’d been constantly climbing in elevation during the morning drive, and the air was pleasantly cooler. I filled my tummy (they did too), then we headed Southwest on highway 350 toward Trinidad. 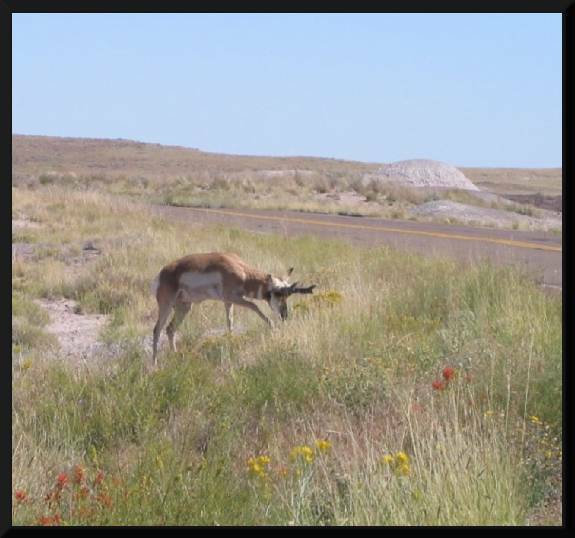 The Comanche National Grasslands. Now there’s some silence if I’ve never heard it. We stopped somewhere halfway between La Junta and Trinidad and just sat, looked and listened. A small herd of elk grazed nearby, animals I’d never seen. They appeared quite at ease with us being so close. It reminded my of my youth in Africa. Grassland on both sides of us played the music of wind. The road stretched for miles in both directions…not a single car to be seen. The only sounds, other than breezes stirring the grass, were the little pinging sounds of engine metal cooling. How nice. A bit further down the road we took a picture of an old abandoned building – Delhi, Colorado. Hmmm. They had a TV antenna. I think I drifted off and napped, but vaguely remember the car starting and us driving on. I was awakened when we pulled into Trinidad. The other guy filled the tank and we headed south on highway 25, leaving Colorado behind as we crossed the line into New Mexico. 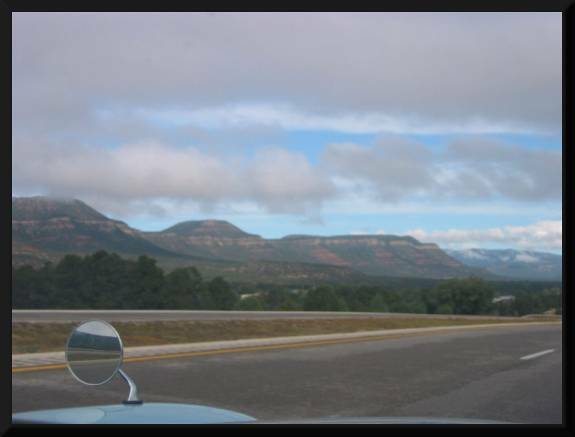 The landscape changed again; hills and canyons, and the mountains of northern New Mexico around us. We stopped for the night in Las Vegas. NM, not to be confused with the one in Nevada. We had a great dinner and a good night’s sleep. The higher elevation was making me drowsy. Or perhaps it was the sound of the other guy talking. It rained that night, but not a lot. We left early and headed north on 285 toward Santa Fe. The landscape changed even more dramatically…the prairies gave up to pine forests and rugged rocky hills as the road went ever higher. I’m not sure what they were talking about, but the Princess asked if the motor was missing. The other guy agreed. What? How could it be missing if we were still driving along at 65 miles an hour? That’s what I wanted to know. 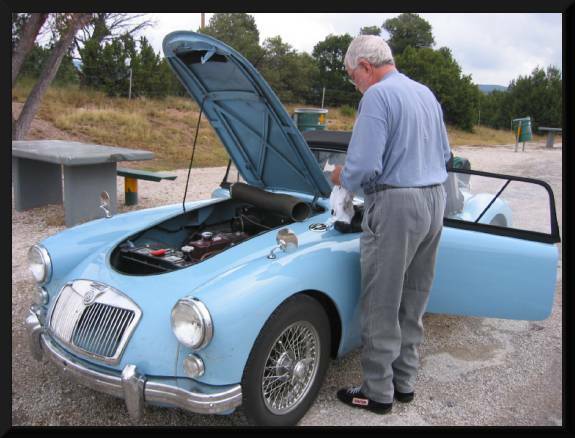 The other guy pulled over at about the 7,000-foot elevation and made some kind of adjustment under the hood. Must have been necessary. When we were rolling again, they commented that the car ran much better. I remember that the other guy said, “Good. The motor’s no longer missing.” What was he smoking? If you ask me, it never was! The elevation was so deceiving. I knew it was changing because my ears kept popping. But what beautiful scenery – the forests and hills – the unspoiled nature. Then the evidence of humans began popping up like my ears had been popping – a first a few homes scattered throughout the pines – then more and more until we crested the summit, and found ourselves confronted by Santa Fe. It may have been the destination for many earlier travelers, but it’s my bet that they wouldn’t have recognized the place. Now, a wide sprawling landscape was covered with ‘southwestern architecture’, adobe style homes side by side like some of the developments I’ve seen in California, except these were almost all flat-roofed and sandstone tan. We stopped, filled the tank, and got right back on the highway. Albuquerque, here we come! And what a downhill ride that was, almost a 2,000-foot drop in elevation. If my memory serves me correctly, the weather in general was much cooler than when we passed through a few weeks before. 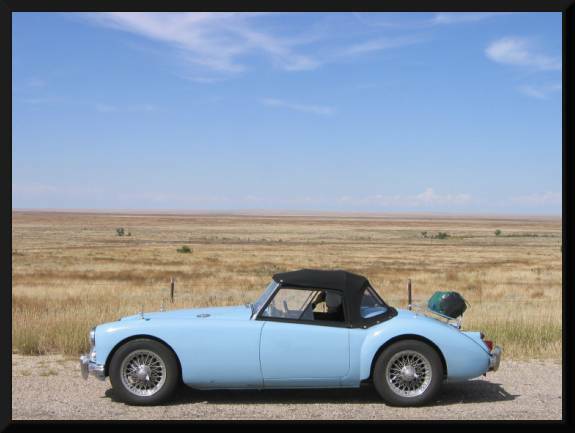 It’s 184 picturesque miles from Santa Fe to Gallup if you like desert landscapes. The huge red and tan sandstone bluffs and mesas are rather dramatic, rising from the flatlands around them. Railroad tracks paralleled the road. Some of the freight trains pulled over 100 cars. Signs announcing Indian reservations, and trading posts became common. We stopped in one and the Princess purchased a few small gifts for friends and a hat for the other guy. Actually, it gave him a kind of Indiana Jones appearance. It made him appear more interesting. Believe me, he wasn’t. We found a motel and spent the night in Gallup, the train capital of New Mexico. My word! They ran all night long, tooting and making all kinds of noise. I was ready to leave early the next morning…after I’d had a good breakfast. It was a pleasant drive to Flagstaff –214 miles, and another climb in elevation. Still, the car ran just fine. 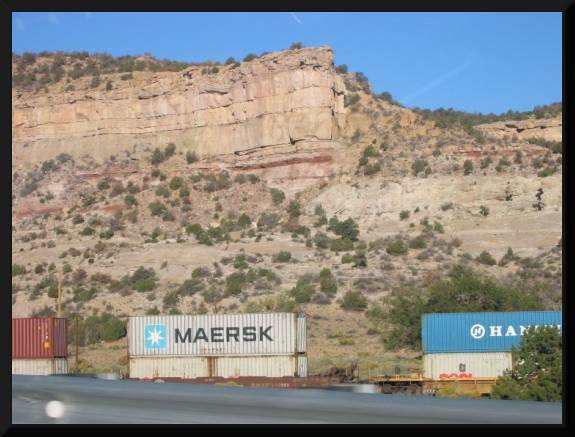 Although it’s a beautiful setting, what with forested mountains and dramatic views, the trains rumbled through town just as they had in Gallup. Well, they didn’t spoil my dinner that night or my breakfast the next day. 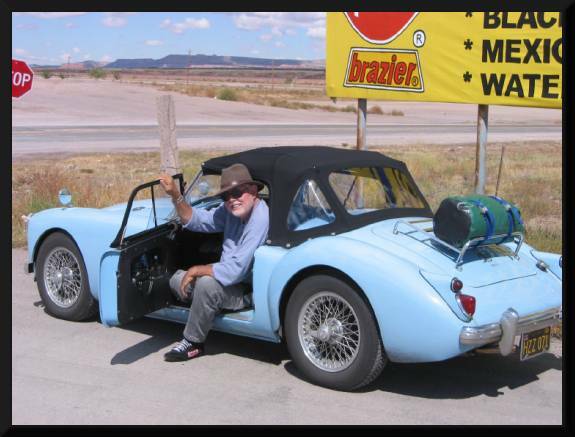 We headed ever west toward Kingman, Arizona, 150 miles away, where we purchased gas, cleaned the windscreen and motored on. 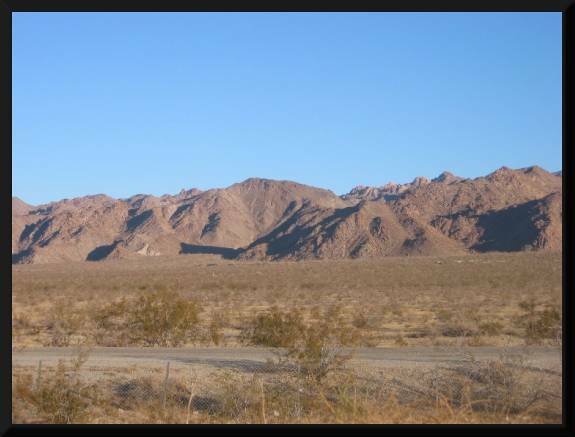 I was beginning to love the desert mountains. They are as rugged as any mountain could be and dressed with the occasional cactus. Not a setting I wanted to wander through on hoof. 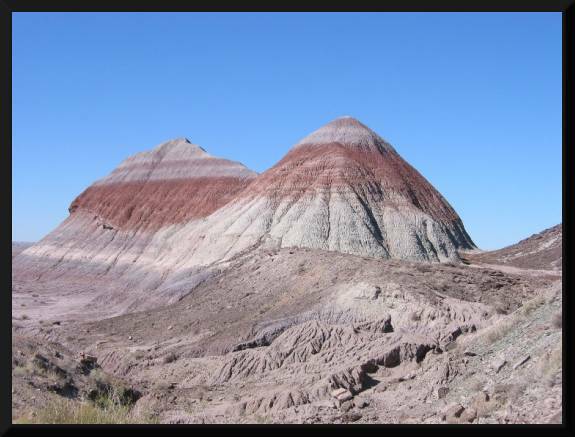 We took a side trip before Winslow, Arizona, and drove through the Petrified Forest and Painted Desert. There is a trip that’s really worthwhile. Here’s a picture of me having a look from the top of a rock. Amazing! 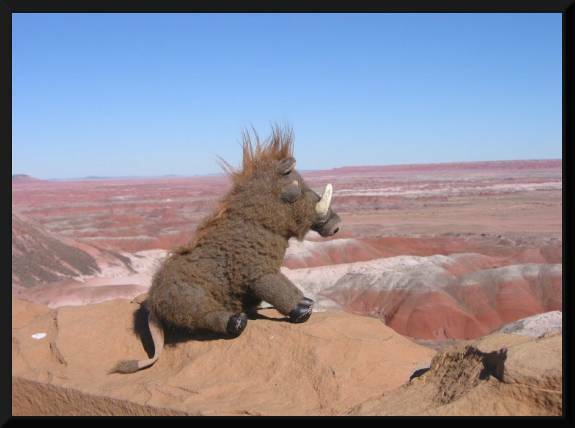 So is the Painted Desert. 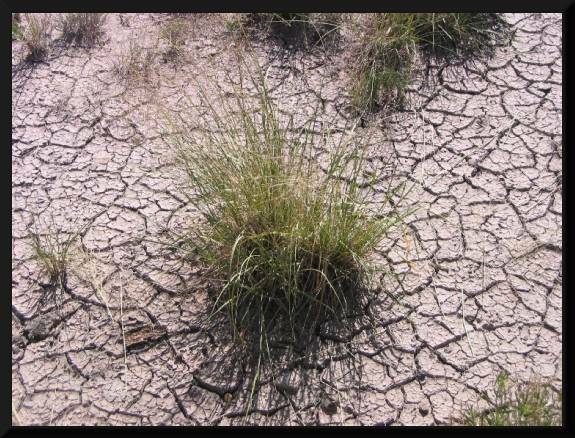 The desert is so…dry…that’s the word that come to mind. Colorful, but dry. There is just a splendid variety of shapes and colors of peaks. Layered, like tasty cakes. Though one might think that there was no way for any living creature to survive in that desolate Painted Desert, not so. The elk was grazing right next to our car. I imagine he found those wild flowers quite delicious. 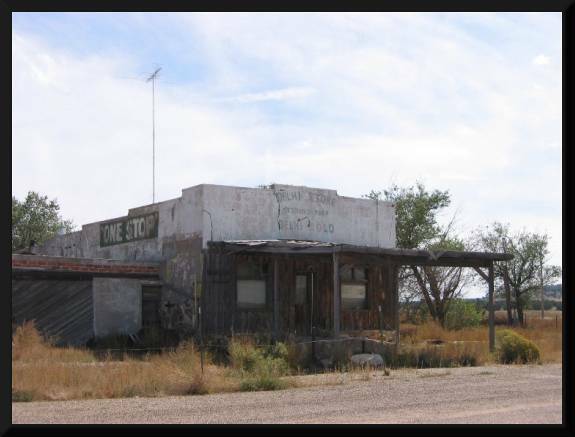 We returned to the main highway and stopped in Winslow to add a quart of oil. A few hour later, near the Arizona/California border, we turned south and drove along the eastern side of the Colorado River. Surrounding us were some seriously jagged peaks. And some seriously sticky cactus. There’s a visual paradox. A river running through that drier-than-a-hot-stone landscape. 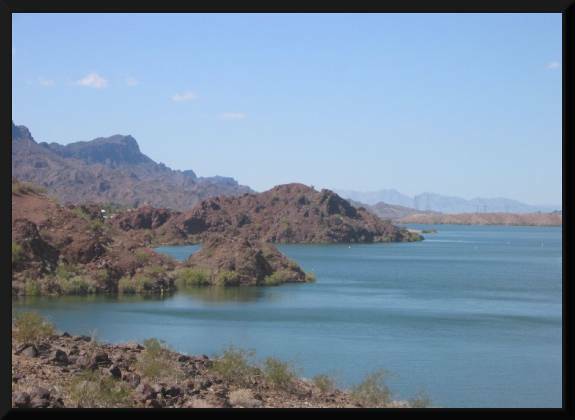 Lake Havasu was stunning, its waters contained by the Parker Dam. What do you think of this picture?. Pretty nice, huh? 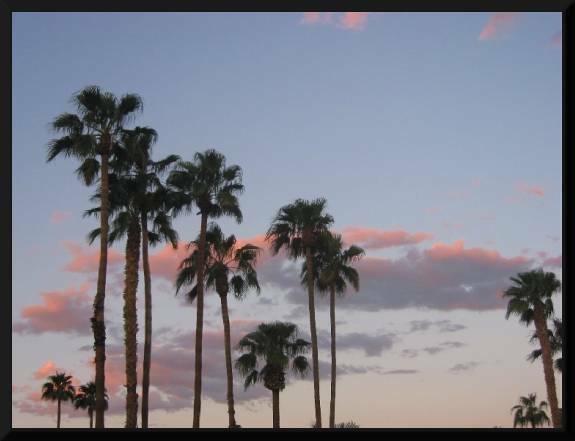 We continued to drive, wanting to get to Blythe, California before sundown. Just a lot of windy desert to cross, but we made it. It was hot, almost a hundred degrees, even at five in the afternoon. We got a motel, ate some fabulous Mexican food, and went back to our room. Lovely sunset. 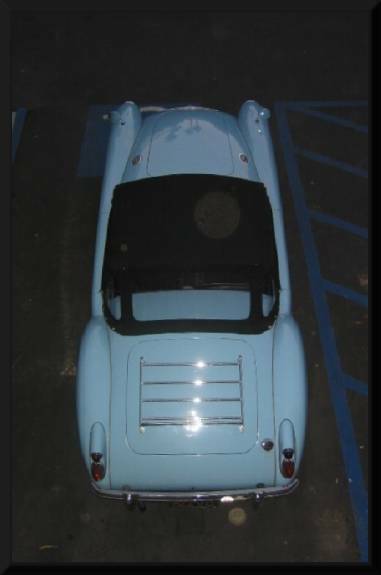 I took the photo of the car that night, looking down from the balcony. I must say I am becoming quite fond of Iris. Tired? Oh yes! I slept like a stone. Now it was a race for home. We were up, ate, and off before sunup. The desert colors are the best at this time of day. 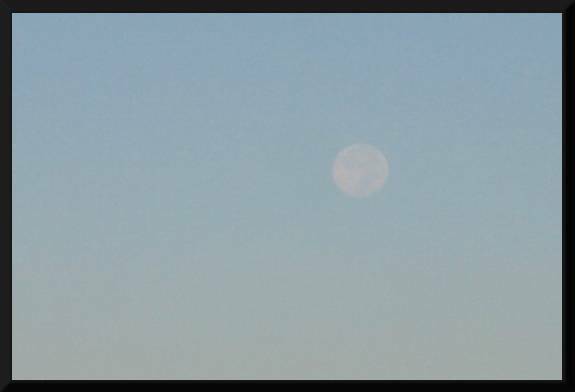 A large full moon setting lead the way as we drove west toward Palm Desert. A few hours later, there we were, washing bugs off the windscreen before looking for a place to eat lunch. Want to take a dramatic drive? 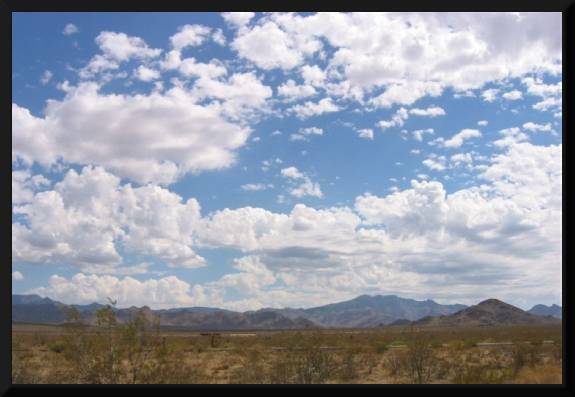 Try highway 74 from Palm Desert to Anza, California. You should have seen those Detroits trying to keep up through those tight uphill curves. In the appropriate gear, Iris sounded good at the orange line. That built-for-MGs curvaceous course has more than one rusted-out wreck on its rocky flanks. 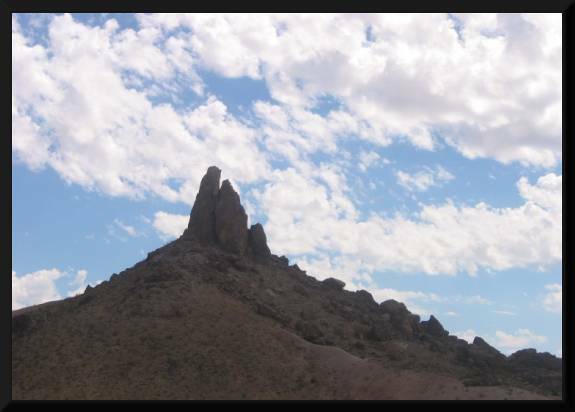 Iris negotiated the change of elevation from just above sea level up to 4,000 feet, and though it was desert hot, not once did her temperature needle pass 190 degrees. We were home in bed by nine that night, exhausted but happier than fish in a pond. (Did you think I was going to say, ‘pigs in mud’?) The Princess tucked me in, as she always does, before retiring for the night. I think I dreamed of cross-country adventures… as I did for the following few weeks. Well, that’s the end of the tale. I do so appreciate your kind attention. You know I enjoy chatting. But now a snack is calling from the kitchen. I wouldn’t want to keep it waiting.